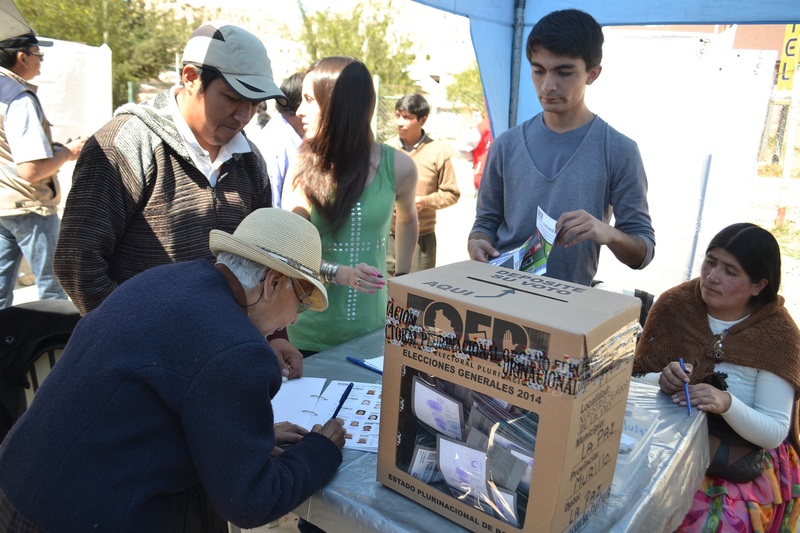 Departmental and municipal elections in Bolivia last week dealt a significant setback to President Evo Morales’s party, the Movement Toward Socialism (MAS). Benefiting from strong economic growth, broad-based support from among the country’s many social movements, and the absence of major controversy, last October Morales was elected to a third term as Bolivia’s president with an impressive 61 percent of the vote. He is on track to be in office until 2020, making him the longest-serving leader in Bolivian history. Last week, however, the party won just four of nine races for departmental governor and two of the races for mayor in Bolivia’s ten largest cities, reversing a trend of sustained MAS dominance since Evo’s election in 2006. Most alarming for the MAS is that it lost across the board in the previous strongholds of La Paz and El Alto. This unexpected outcome has touched off speculation that the MAS is running out of steam. The MAS emerged as a national political force during the sustained social ferment of the early 2000s. It reaped the benefits of widespread popular disenchantment with government as a movement for change and indigenous enfranchisement, and it built a successful coalition across ethnic, class, rural-urban, and to some extent, regional differences. The MAS’s rise coincided with the collapse of the country’s established political parties. As the only remaining national political movement, the MAS has since often identified its approach to governance as a bottom up, participatory, or popular plebiscite – a multiethnic and plurinational vision of local autonomy that it has successfully enshrined in the country’s constitution. Addressing last week’s upset, Vice President Alvaro García Linera noted the MAS had done a poor job of cultivating new local leaders. Evo suggested it was a “punishment vote” in response to recent corruption scandals involving MAS candidates. Nor did Morales do his candidates any favors when he threatened not to work with opposition politicians in El Alto or La Paz if they were elected. Despite this setback for the MAS, local opposition at the polls does not necessarily lead to national opposition. The political opposition remains fragmented, and the MAS remains the country’s only truly national political party. Even where it lost races for governor or mayor, in most cases the MAS enjoys a majority in the state legislatures or city councils. However, several factors – corruption scandals, continued dependence on the extractive industries, and the party’s habit of co-opting right-wing non-masistas as candidates where it thinks they will win – point to the stubborn persistence of different national and local political realities. When the MAS has run into problems in recent years, as with recent controversy over a plan to build a highway through the TIPNIS indigenous territory and national park, it is because it misread local political terrain, chose poor candidates, and ran afoul of regional or local autonomies. The horizontal and plural coalition-building that has been the MAS’s hallmark can be a clunky local political instrument. Last week highlighted that local electorates are less driven by social movement ferment, ideology, or historical change; are notably distrustful of MAS impositions from above; and are more interested in prosaic matters of good governance and candidates they know and trust. It was certainly not the beginning of the end of the MAS. But if the national party continues to struggle in the face of diverse local political realities, it could signal for the MAS a gradual death by a thousand cuts.